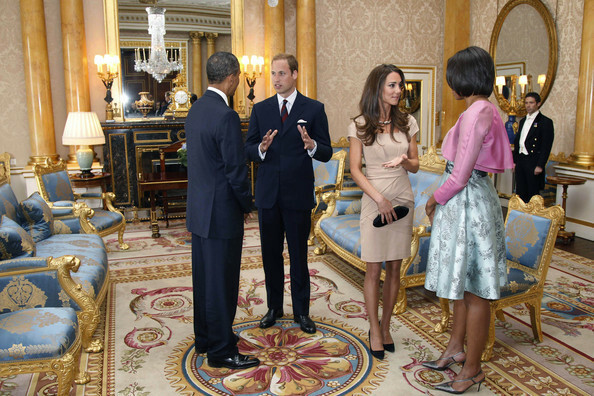 Barack and MIchelle Obama Meet Prince William and Kate Middleton. . Wallpaper and background images in the Kate Middleton club tagged: princess catherine kate middleton 2011 william and kate prince william william. 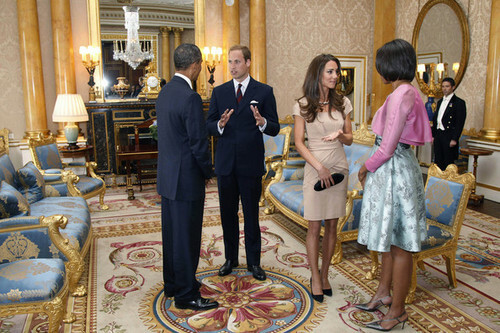 This Kate Middleton photo might contain salotto, birreria, and brasserie.